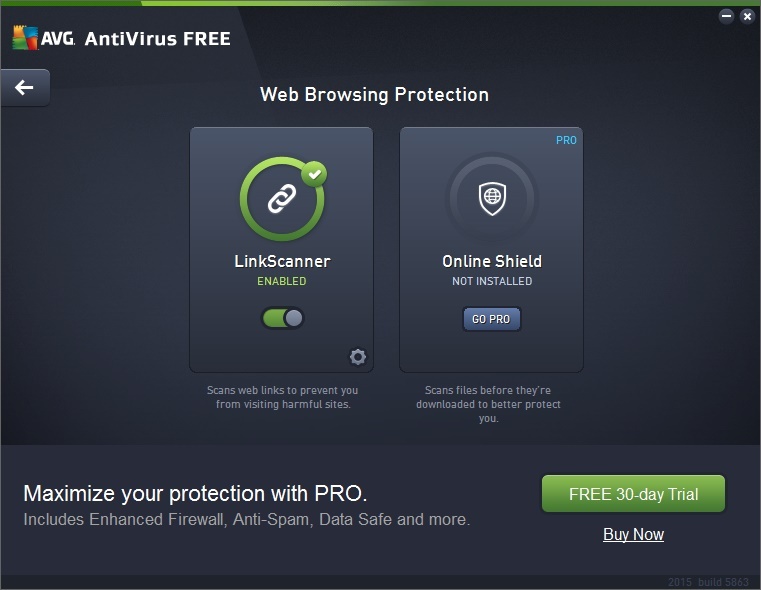 AVG AntiVirus FREE 2015 - download in one click. Virus free. 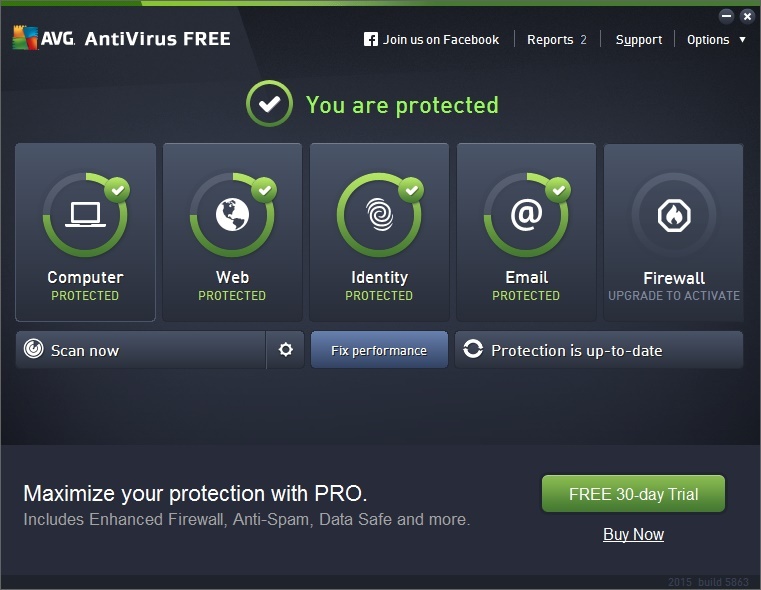 Download the latest version of AVG AntiVirus FREE 2015 with just one click, without registration. It comes with a safe official web installer for Windows. AVG is one of the leading names on the antivirus market, offering effective PC protection to repel and shed most malware as well as keep your computer running smoothly. AVG AntiVirus FREE 2015, as its name says, represents a free antivirus and malware program that can easily meet your everyday security needs without any hassle. Besides featuring a powerful scanning engine, AVG AntiVirus FREE 2015 offers a reliable file shredder, software behavior tracking tool, and link and email scanner, which ensures complete PC security and improved performance. In addition to that, the free antivirus software is compatible with the new AVG Zen, allowing users to control not only their Windows PCs, but also Mac and Android devices with ease. They just need to log in on their PC or via Android device, and they will be able to remotely manage the protection, performance, and privacy of all their and their family's devices. 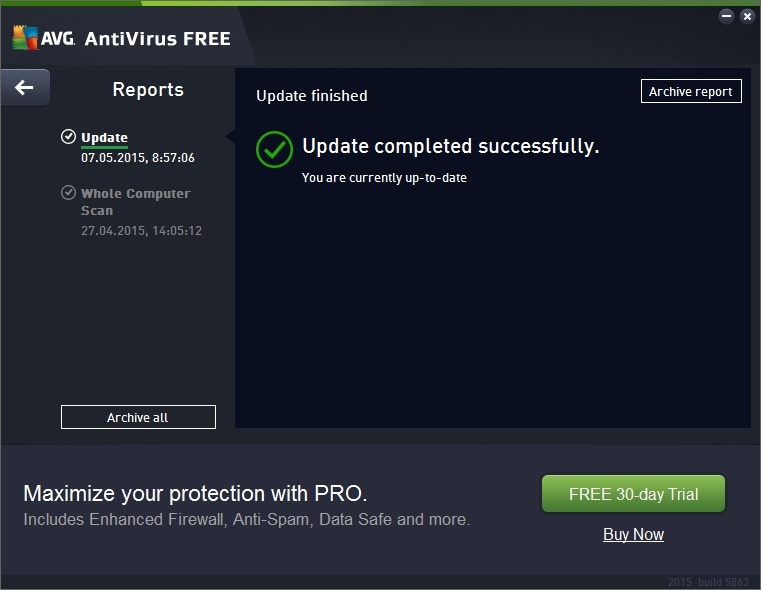 Working on Windows 8, 8.1, 7, Vista, and even XP, the new version of AVG AntiVirus FREE moved away from its Windows Modern-style interface to a more streamlined and elegant design, which is in line with those of other popular antivirus and malware solutions. 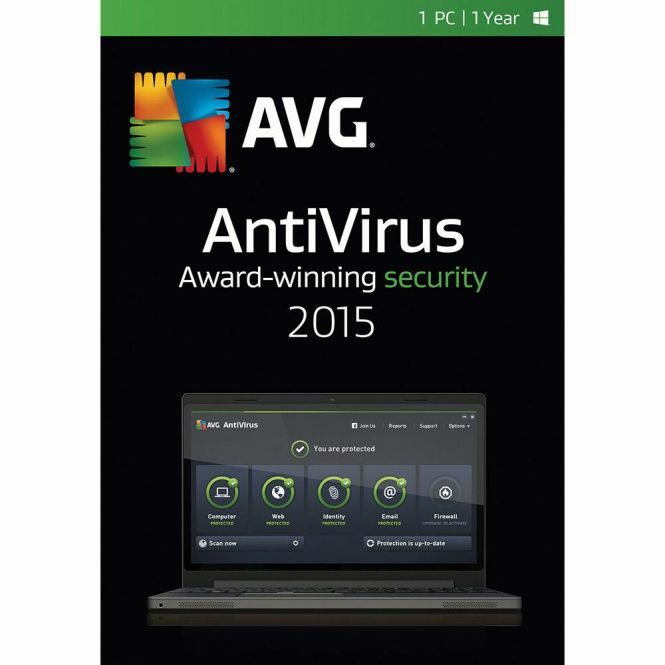 As a staple of home antivirus software, AVG AntiVirus FREE 2015 offers an improved and essential protection tool with a wide range of features and well-designed interface. Malware detection and removal, link scanning, email protection, and AVG Zen support – and all that is absolutely free.